How would you handle it if you found out the world was ending? How would you react if a hostile military force arrived in your city intent of its destruction and your potential enslavement? Many of us, me included, probably wouldn’t be able to handle it. No doubt many of us would simply curl up in ball and wait to die. That scenario is exactly what the characters that populate the Mass Effect universe have to deal with in Mass Effect 3. The Reapers, the enemy Commander Shepard has done everything he can to warn the galaxy about and/or stop outright, have arrived in the Milky Way galaxy in force and they’ve got a score to settle with humanity. Earth finds itself square in the crosshairs of an extra-galactic invasion force that fields sentient living starships that are not only far faster, but can also outgun anything humanity, or any other race in the galaxy, possesses Oh, and they can also land, walk around on their nightmarish Cthulu fingers and laze the ever-loving **** out of everything with impunity. So how do the denizens of the galaxy handle such news? Well, at least as far as Shepard and her cronies are concerned, they finally live, not only as in-universe characters, but as out-of-universe avatars whose job it is to guide the player through a series of feelings and emotions as they play. Thanks to BioWare’s amazing ability to breath life into these characters in a way they haven’t quite done before, Mass Effect 3 is far and away the most emotional game of, not only the Mass Effect series, but every console RPG BioWare has put out in the last ten years or so. I’m routinely entertained by the dialogue and character interaction in BioWare games, but Mass Effect 3 is the first time I’ve ever been moved by the dialogue and character interactions in a BioWare game. The fear, sadness, and despair these characters are feeling as their homeworlds burn and their families remain lost is palpable, and when they do get to experience brief moments of joy, it’s made all the more sweet. And it’s not just when you talk to them, but it’s also expressed in the way they interact with each other. That is, by far, Mass Effect 3’s greatest accomplishment. All the familiar characters, from old teammates like Tali and Garrus to background characters like Joker and Dr. Chakwas sparkle with this newfound humanity. No longer are they digital mannequins that spout compelling and/or humorous dialogue. Now they are true characters with individual personalities that I could relate to in ways I couldn’t in previous BioWare titles. I find it fascinating that it took their darkest title in a long long time to allow them the space (or motivate them) to wind the characters up into something greater than they’ve ever been before. It took the end of everything to force the characters to finally live, and maybe it took writing about the end of everything that forced BioWare to finally live as well. It’s not just established characters that sparkle, either. 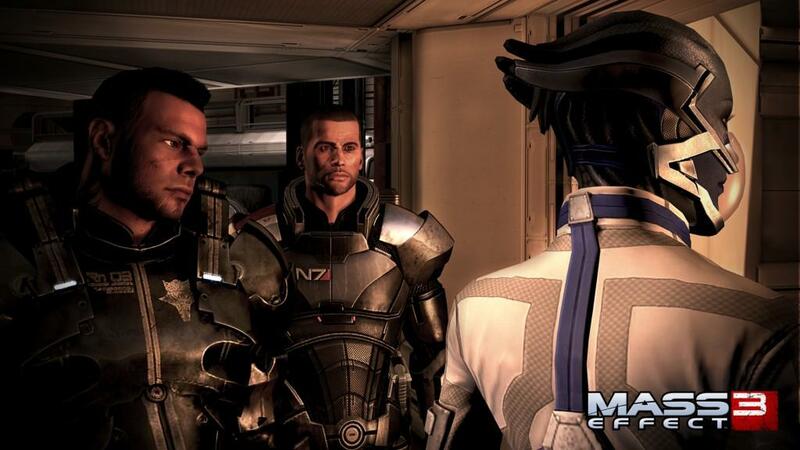 The new characters are far more interesting than the new characters introduced in Mass Effect 2. The biggest, best, and most important of these new cast members, and the one that best illustrates the point I’m trying to make, is Lt. James Vega. At first glance, he simply fills the classic BioWare archetype of “baseline human male teammate” just like Carth Onasi, Sagacious Zhu, Kaiden Alenko, and Jacob Taylor. However, get a few interactions with him under your belt and you’ll find that he’s so much more than that. The one thing all the other baseline human male characters I mentioned have in common is their general propensity for by-the-book straight and narrow attitudes, moodiness, and some would say whining. Generally, they were all just a tad boring no matter how important they were to the plot of their particular game. James Vega is none of those things. He’s loud and boisterous, peppers his speech with Latino slang, works out constantly, gambles, gives everyone obnoxious nicknames (Femshep’s is Lola of all things), demonstratively flirts with Commander Shepard if she happens to be female, and wears a shirt so tight it must incorporate mass effect field technology so as not to disintegrate at the speed of light. On the surface, all that surely makes him sound obnoxious, and that perception isn’t helped by the fact that he’s voiced by former minor teen heartthrob Freddie Prinze Jr. However, he’s not obnoxious at all. Instead he provides an outsider’s strikingly human perspective on the events at hand, and easily rates as one of the best characters BioWare has ever created - and I was just as surprised as you no doubt are. James Vega’s not even the only new character that manages to transcend a questionable voice actor either. Early on in the game, Commander Shepard meets a reporter from the Alliance News Network who is seeking to be embedded on a military vessel and desperately wants that vessel to be the Normandy, whose escape from Earth is, at that point, only a rumor. Diana Allers is her name and she is voiced by Jessica Chobot (she also provided the basis for her facial model) of G4 fame. Many long time fans questioned this choice because it seemed like a gimmick - she’s a well-known “pretty face” of gaming and not known for much else; however, even if she is a gimmick, it works. Get to know her a little and her background will explain a lot about her character and why she chooses to spend all her time in high heels and a very low-cut and very tight dress. Jessica Chobot won't win any acting awards anytime soon, but her voice provides Allers with a certain quality that seems remarkably consistent with her character. She’s not essential to the story by any stretch of the imagination, but she helps fill out the universe in a surprising way (and don’t even get me started on how she fills out that dress). With characters that are this well developed, it takes some of the pressure off of BioWare and lets them deliver a story that doesn’t have to provide all of the emotional punch and do all of the heavy lifting to keep the player engaged. 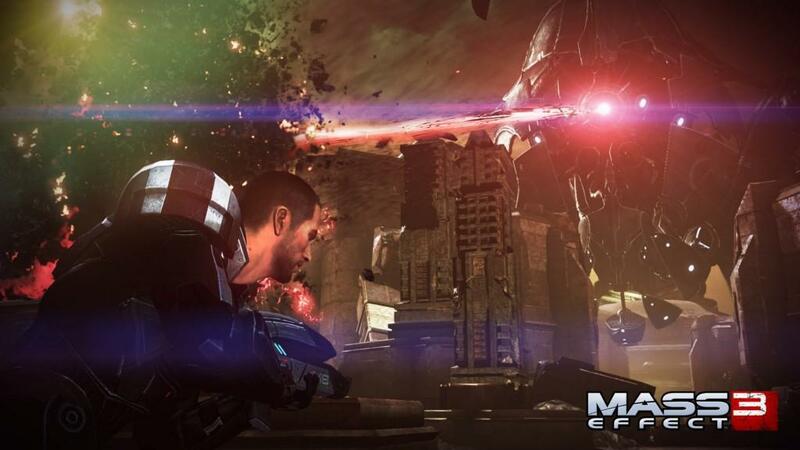 What does that mean for Mass Effect 3? Well, it means that the story remains fairly personal despite the galactic-sized impact the outcome holds for everyone. BioWare could have made a million different story decisions, but ultimately they had to pick one series of plot points to make up Mass Effect 3 and any discussion of the story should focus on the choices they did make and not the choices they didn’t or the player wishes they had. They are, after all, the artists here. This is their work and all we can do is accept it for what it is - or not if we so choose - so I won't be deconstructing the story to say what works and what doesn’t, because it does a disservice to all the men and women that worked on it. Suffice to say that Mass Effect 3’s story plays on the same kind of classic tropes the series has always played on with the conflict between organic life and synthetic life acting as the fulcrum. It’s always been there, but in Mass Effect 3 you begin to learn that’s what the series has always been about. Of course, given that this Mass Effect is another in the long line of trilogy-cappers we’ve seen in videogames recently, the ending is going to be the part of the story players are looking most forward to, and it’s an ending that could have been penned by Steven Spielberg with all the good and bad that implies. Let’s face it: there’s nothing BioWare could have done to satisfy everyone and if you go into the game expecting to see the version you’ve been writing in your head for the last five year, you’ll be extraordinarily disappointed - so just don’t do that. Personally, I was happy with it, despite the fact that I am not a fan of the Spielbergian ending, as his ending are generally too affectionate toward the story, its characters and the viewer, treating everyone with an overly soft touch. Something else common to all science fiction stories, not just those Stephen Spielberg is responsible for, is mysticism and the meta-physical. Think about all the science fiction tales you know of where something akin to magic or religion plays a large role in the ending. It’s a common and classic technique that Mass Effect 3 uses to great effect. It weaves all of these threads into a tapestry the player can wrap themselves up in if they get cold or feel alone. It’s not interested in nihilism, existentialism, or the stark realities a post-apocalyptic galaxy has in-store for the survivors and my affection for the characters and series is such that an ending that amounts to a hug and a whisper that everything will be OK happens to be just what I wanted. On the way to that ending, you get a story littered with character revelations, story twists, surprise cameos (some from the Mass Effect Expanded Universe), tragic deaths, large-scale space and ground battles, and all the action players expect from the Mass Effect series. For most of us, it is the action and gameplay that attracts us to videogames in the first place and from a gameplay perspective, Mass Effect 3 will feel extraordinarily familiar to long-time fans while introducing enough new features to keep it from getting stale. 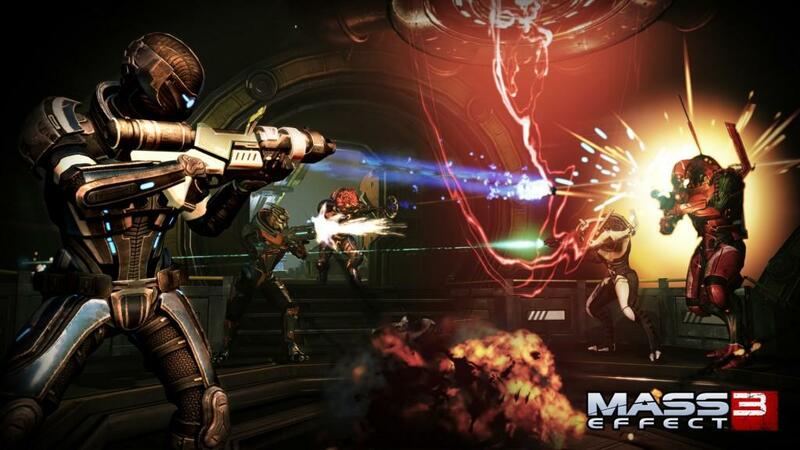 The biggest gameplay changes are more of an attempt by BioWare to regress the gameplay toward the original Mass Effect as there are more powers, more weapons, weapon mods, and twice as many levels as Mass Effect 2. When you do achieve one of the 60 character levels in Mass Effect 3 (and you wont hit the cap the first time without importing a Mass Effect 2 save file), you get a certain amount of skill points to spend on five active powers and two passive powers plus one bonus power you have to unlock via crew member interactions. Each power requires 21 points to max out with each step requiring one more point than the previous one. For power levels 4, 5, and 6, you’ll be able to choose between two mutually exclusive evolutions. Generally speaking, one increases damage and the other increases some non-damage aspect, be it cool down times, area of affect size or simply Shepard’s health and weight carrying abilities. That’s right, I said weight carrying abilities. This time around Shepard is free to carry up to five weapons, one from each class (assault rifle, sniper rifle, shotgun, pistol, and submachine gun). This is balanced by your Shepard’s weight carrying ability. A low weight carrying ability means you can still carry all five, but it will be at the expense of your power cool down times. The inverse is also true. If you chose to remain under your limit you can reduce cool down times up to 200%. For the soldier-class fans out there who might read that and assume the soldier class has been rendered useless, don’t fret - a soldier’s default weight limit is close to double that of the other classes, and can be increased to the point that you can carry three or four weapons and, unlike the other classes, stay under the limit and keep nice quick cool down times. 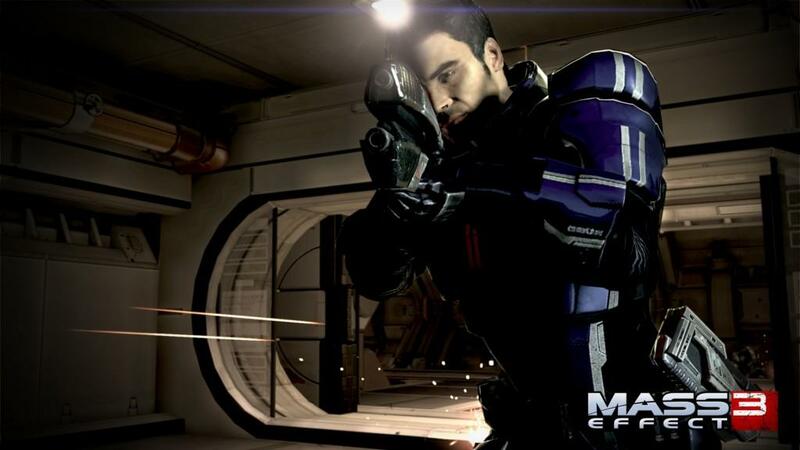 And you’ll need that cool down reduction because default cool down times are more in line with the lengthy Mass Effect 1 cool downs while retaining Mass Effect 2’s global cool down feature. However, if you stay under your weight limit, and choose the right power evolutions and armor mods, you’ll never have to worry. The armor mods take the form of chest pieces, greaves, gauntlets and shoulder pieces that you have to find and/or buy, and can be swapped with your default military issue N7 armor. Each one is manufactured by one of five classic Mass Effect universe manufacturers, and each manufacturer specializes in a particular bonus, like weapon damage or power cool down reductions. This motivates you to find a complete set of armor that matches your particular play style, or you can ignore that and mix and match for smaller bonuses in many different areas. Whatever you choose, the armors pieces are far more detailed than before and look great, so you’ll be able to create some truly badass looking combos. You can further customize your armor with a large number of colors - many more than Mass Effect 2. Finally, your armor can be topped off with one of at least 13 pieces of head gear (that’s all I came across but there could be more) that range from fully enclosed helmets to scouters and other bits of eyepiece tech cool enough to make Garrus Vakarian jealous. Interestingly enough, I think every singe piece of headgear was released as Mass Effect 2 DLC, including the soft drink promo items. So if you missed the Umbra visor in Mass Effect 2 because Dr. Pepper (or whatever brand it was) makes you vomit, you’ll finally be able to use it. 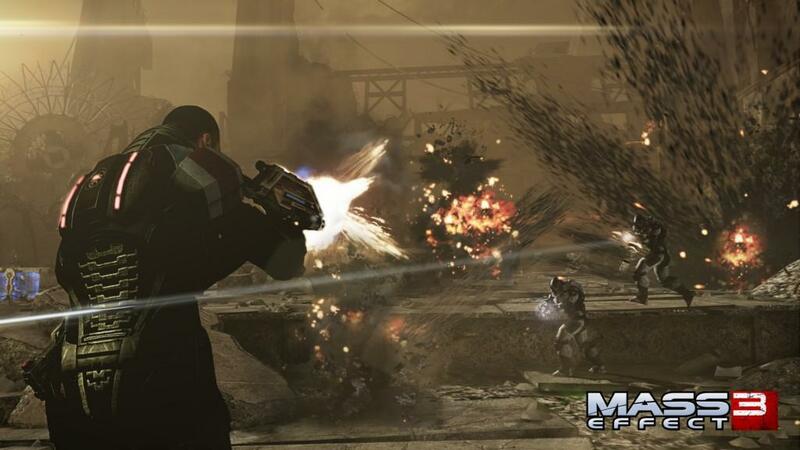 The weapons in Mass Effect 3 operate similarly with all of Mass Effect 2’s DLC weapons making a return appearance as in-game weapons. Weapons that were part of premium packs like the Mattock rifle are now freely available once you find it or buy it. On top of that, there are a ton of brand new weapons in each class. Like with the armor, it really encourages exploration. I spent the entire game hunting in every corner because I never knew what sweet piece of hardware might be hidden in a corner or behind a counter. 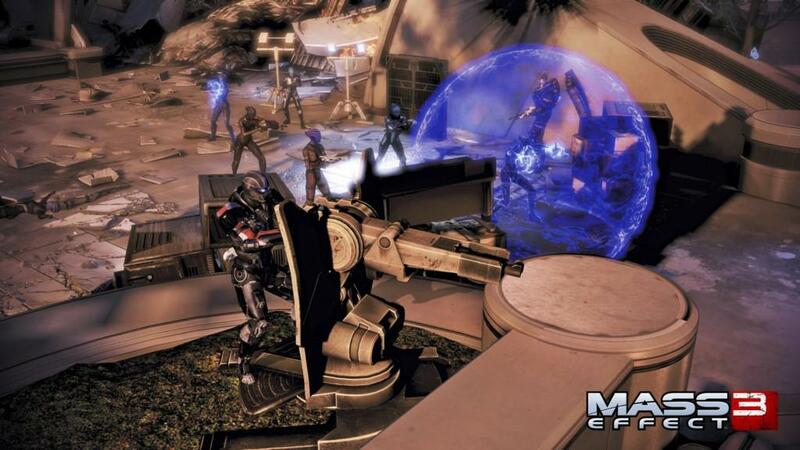 Unfortunately Mass Effect 2’s heavy weapons are left out of this new system and are no longer freely equipable. They still exist, but only as candy weapons you find on the battlefield. Sometimes it’s a scripted moment that you need a specific kind of weapon for. Other times, it’s just a gift given to you by BioWare for fun to help you through a tough section. Also, they’re mostly brand new with a few notable exceptions, like the Cain (Oh yes, the “nuke launcher” does indeed make a brief cameo - complete with a brand new codex entry that rewrites how it works because lets face it, that didn’t make any sense in Mass Effect 2). Along with armor and weapons, you’ll also find yourself hunting through the levels for weapon mods. Each weapon class can equip two out of a possible five mods like scopes, or larger heat sink capacities while each weapon class gets one unique mod. The best example of a class-specific mod is the bayonet that can be fitted on your shotgun to drastically increase melee damage. Much like the original Mass Effect, these upgrades come in one of five levels and, unlike the original, the external weapon mods are fully rendered by the game, and look different with each level, and every time you find one or buy one you already have, it’s upgraded by one level (weapons are similar but you have to buy the upgrade - and the guns always look the same). If you choose to buy your mods instead of looking for them, you can do so on the Citadel where you’ll find nine store kiosks that will periodically update their merchandise. A really cool offshoot of this feature is that the Normandy maintains a remote uplink to each kiosk after you visit it for the first time. For a 10% markup (for shipping and handling I guess) you can do all your shopping from the comfort of the Normandy’s hanger bay. Also inside the Normandy’s hanger bay along the “procurement interface” you’ll find a console that lets you purchase upgraded weapons, the workbench where you customize your guns, and a remote armor closet linked to the one in Shepard’s quarters. From that one central hub, you can do all your buying, upgrading, and customization. It’s exactly as useful and convenient as it sounds. And speaking of Shepard’s quarters, the fish tank remains and can accept a much wider variety of sea life and can be equipped with a VI monitor that handles the feeding. So you’ll be able to go out on missions without having to come back to a tank full of dead fish you need to clean up. Ship models make a return also. Some can be purchased, some can be found on the Normandy, and some I didn’t get a hold of at all. Also still part of Shepard’s quarters is the private terminal where you can check your messages and squad status. The intercom returns as well and this time, many of your deep crew member interactions are initiated with the intercom and take place in your quarters. Read into that whatever you want. There really are so many more features I could talk about. I could talk at length about the graphical upgrades and the sweeping alien vistas and/or battles that exist around whatever mission you’re on. I could talk about how the weapon and power sounds have been reworked into a claustrophobic tunnel of throaty pops and thick-sounding impacts. I could tell you all about the new Citadel and how stunning it is in places and how it now holds a sweet firing range that lets you mod then test your guns (and then I could tell you about how there should have been one on the Normandy also). I could complement BioWare on the expanded power combo system that lets you combine tech powers and explosive/fire powers in addition to biotic combos. I could tell you about all that and so much more, but I won't. Some things should be left for the player to discover. So make sure you try everything and experiment with anything from weapons to power combos (especially power combos), character interactions (when you’re on the Normandy pay attention to your map because your teammates will move around and can often be found hanging out together). Whatever you do, don’t rush through it just to see the ending. 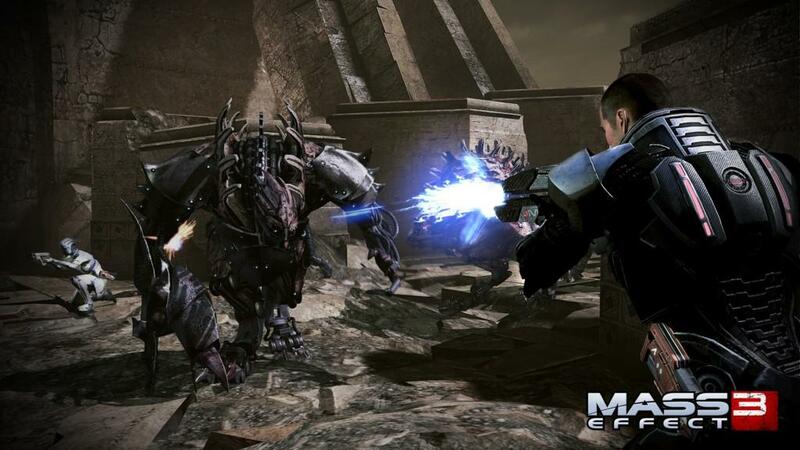 Mass Effect 3 is not that kind of game. It’s like a sipping whiskey that you must stop and savor to appreciate instead of a cheap mescal that you just want to get through as fast as possible so you can get to the good part of your evening. There’s also a fair amount of meta-humor that I’m not going to reveal. 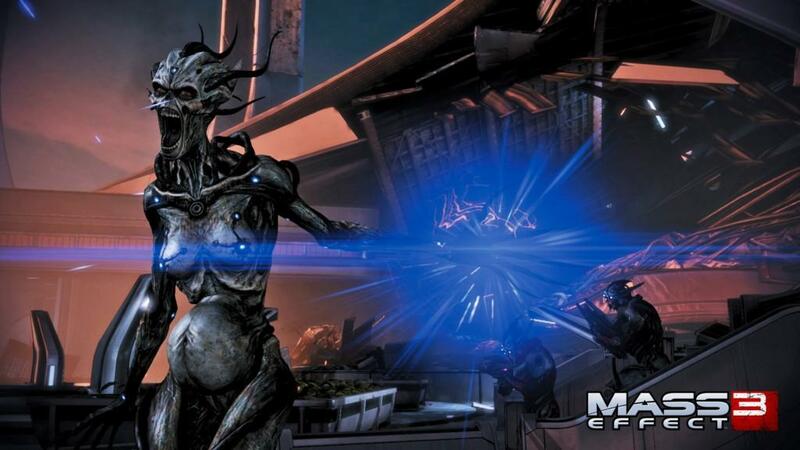 Let’s just say that if you loved ME2’s videogame sales clerk, you’ll find even more to love in ME3. So by now, I’m sure you’re asking yourself, “is there anything you didn’t like?” Of course the answer to that is yes, because as great as the Mass Effect games have been, they’ve made their share of missteps and this one is no different. First and foremost, my biggest complaint is that Shepard walks too damn slow. Now that may not sound like a big deal to you, but to me it is. I don’t like running everywhere. I like to walk and soak in the game’s world and character design, and its atmosphere. However, BioWare, starting with Mass Effect 2 has apparently decided that you must run everywhere all the time like a five year old. What’s worse is that even maintaining this super slow walk is hard because the difference in stick positions between standing still and sprinting are pretty much unrecognizable to the game. Another issue I had was that the game still doesn’t support unarmed or melee-only builds. Given how the weapons selection and weight system works, it seems like they wanted to include the ability to go unarmed and rely on your powers and melee attacks (which now include freaking stealth kills and class-specific power melee attacks) supported by that 200% reduction in cool down times I talked about before. It’s a missed opportunity if you ask me. I normally don’t even consider playing an unarmed build in RPGs but I got very excited to try it when it looked like Mass Effect 3 would support them, only to be crushed a few seconds later when I discovered that you have to carry one gun at all times (however, if you only equip the lightest SMG, you still get the 200% reduction in cool down times). Finally there’s the closest thing to an “elephant in the room” issue Mass Effect 3 has. Is the framerate really that bad on the PS3? The answer is yes and no. The framerate does noticeably dip during most cut-scenes, but it’s more of a flicker than a slideshow. Also, once it hung up to the point that the audio de-synched. Furthermore, it totally crashed on me one other time. However, none of that honestly impaired my enjoyment of the game. And during actual gameplay, if the frame rate dropped I didn’t notice it, so I’m going to leave that discussion up to the technophiles and engineers. There were also copious amounts of texture fade-in, which by now we should all be aware is just how the game’s engine works. Gears of War 3, using the same engine suffered from texture fade-in that was far worse than it is in Mass Effect 3, despite the fact that Epic, makers of Gears of War 3, created the engine. So it’s not even as bad as it could be. So that’s it. Saren, Sovereign, Harbinger, and the Illusive Man have been vanquished once and for all. The cycle has been broken. The shepard that will lead the galaxy to a new beginning has been chosen. For the rest of us, we’ve all come to the end of one of the most beloved videogame trilogies of all time. Shepard’s story is over, and no matter how it ends for your Shepard, I know you’ll be sad to see it end. 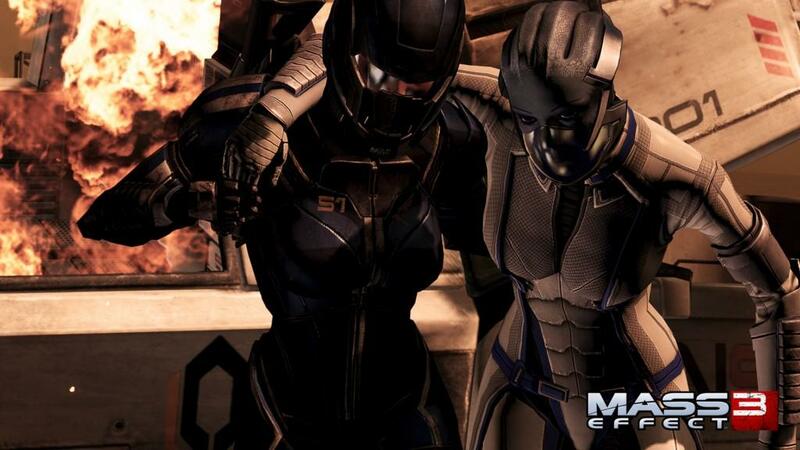 The Mass Effect series has evoked almost a TV series level of character affection in many people - me included. Shepard, Liara, Tali, Garrus, Kaiden, Wrex, Ashley, Mordin, Thane, Grunt, Zaeed, Jacob, Miranda, Joker, Dr. Chakwas, and even newcomers like James - I couldn’t even begin to list every character beloved by some segment of the fan base - will go down in history as some of the best and most iconic characters in the history of the medium. So many mean so much to so many different people because BioWare’s greatest accomplishment and their biggest contribution to gaming is their ability to create compelling characters that people care deeply about, and now that it’s over it’s like our favorite TV show has been cancelled. As science fiction fans and gamers, however, we’ve also been enriched by the experience. I choose to focus on that. Many of us have been led to think about the future in ways we wouldn’t have before or to talk about ideas with our friends we wouldn’t have otherwise. Even if you throw away everything else, you’re left with a game that made people think. How many other game franchises can say that? It’s the end of Shepard’s story. What does that mean to you? For me, it means the end of one of the best video game and science fiction franchises ever. The final scenes take a decidedly classic sci-fi turn that surely won't make everyone happy, but that was never a real option. 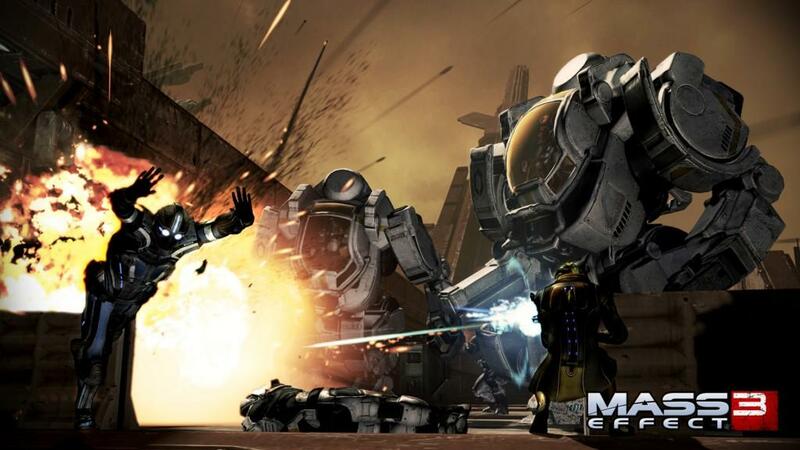 Instead it maintains BioWare’s unique vision and approach toward game development. Regardless of the rest of it, that makes Mass Effect 3 a rousing success.